The Global Spa & Wellness Summit (GSWS) is an international organization representing senior executives and leaders joined by a common interest in driving economic development and understanding of the spa and wellness industries. Delegates from diverse sectors, including hospitality, tourism, health and wellness, beauty, finance, medical, real estate, manufacturing and technology attend the organization’s annual Summit, which is held in a different host country each year and attracts attendees from over 45 countries. 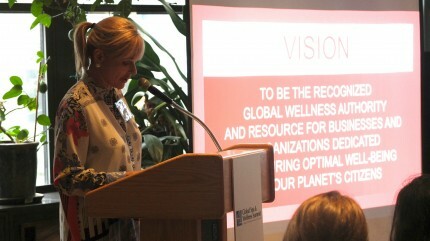 PKPR organized a press briefing to announce new research from the Global Spa & Wellness Summit which found that the global spa and wellness industry is now worth an estimated $3.4 trillion. More than 30 journalists attended the briefing resulting in coverage in outlets including Reuters, Yahoo! News, Business Insider, Quartz, Upstart Business Journal, Skift, and Travel Market Report.